Mondays are always loaded with work and no wonder hardly feel are able to take out time to attend gatherings,But when it comes to the World’s most loved reality show MasterChef how can one not take out time for it.Wrapped up all the office work and rushed towards the venue of Masterchef Media briefing. I was surprised that the event started and ended almost at the same times as mentioned on the invite. 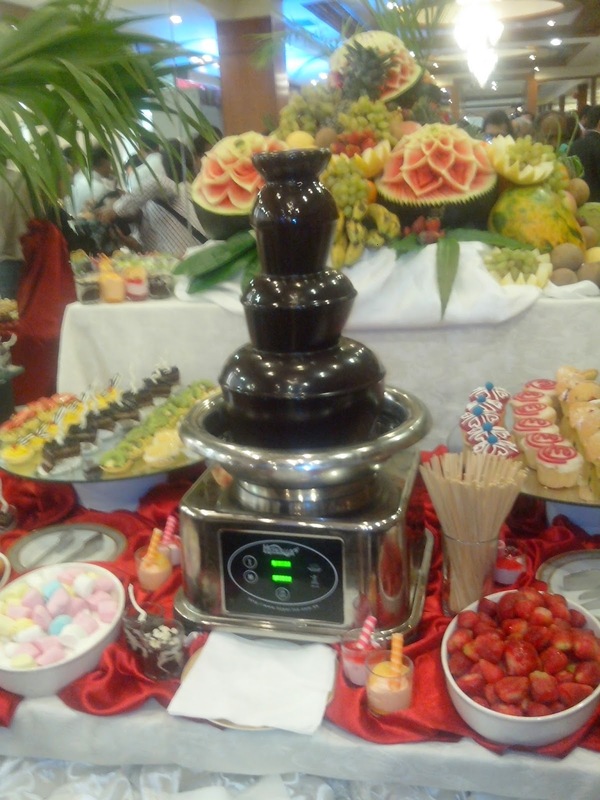 The event opened to food lovers; prominent media members, corporate personalities and celebrities gracing the red carpet. Friends from the television, fashion and music industry got together to celebrate food. Prominent guests in attendance included Naila Naqvi (Pie in the Sky), Yousuf Bashir Qureshi, TapuJaveri, ZarminaKhilji (Scentstation), Mohammad Junaid, NajiaAshar, Adnan Pardesi, Hasan Rizvi, ImranaMaqsood and many others. The media briefing event was hosted by prominent media personality and food enthusiast Sidra Iqbal. The guest of honor at the occasion was His Excellency Mr. Peter Heyward, the High Commissioner of Australia to Pakistan. MasterChef Australia of course is the flagship success story of this global reality series. Earlier this year, Mr. Heyward’s office was pivotal in bringing the most popular contestant of MasterChef Australia (season four), Amina Elshafei to Pakistan for a well-received fusion cooking tour. “Food brings cultures and people closer together, I am pleased to be here at the media briefing and wish all the contestants Of MasterChef Pakistan, the very best.”, said Mr. Heyward. 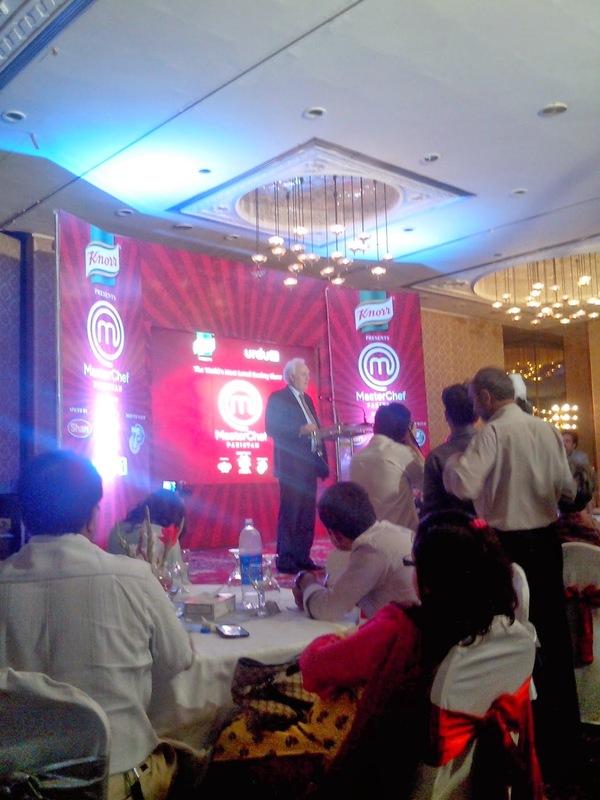 The event recapped the preliminary auditions for MasterChef Pakistan in three cities namely; Karachi, Lahore and Islamabad. The response was overwhelming and the production team is very impressed by the Pakistani talent discovered. 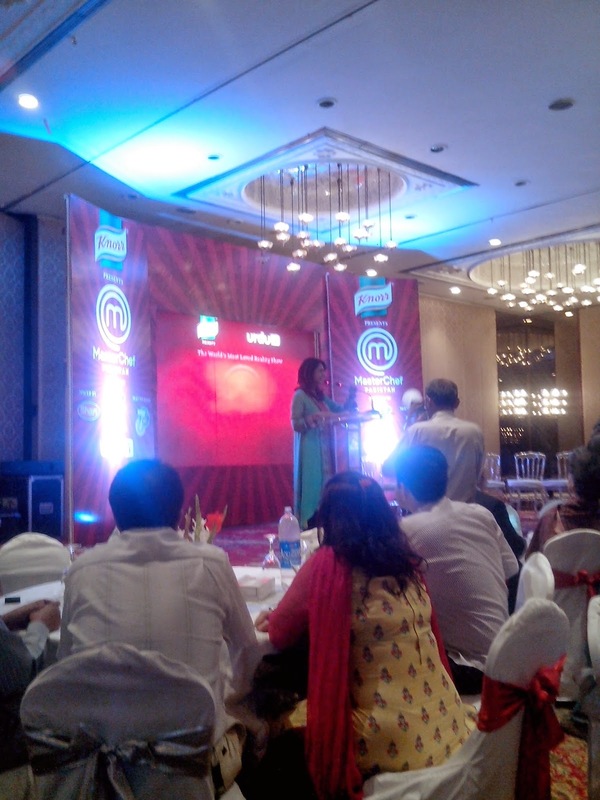 The highlight of the event was the Big Reveal: unveiling and announcement of the 3 MasterChef Pakistan Judges. They are the very charming and talented: KhuramAwan of Movenpick Hotels and prominent celebrity chefs: Chef Zakir Qureshi and Chef Mehboob Khan. Staying true to the spirit of MasterChef,the guests were treated to an exquisite and tantalizing presentation of hors d'oeuvres that included canapés, quiches, bruschettas, mini pizza’s, chicken shashlik and assortment of Lebanese mezze. The Sushi boat with a variety of Maki, California Rolls and Sashimi was a heavenly delight. 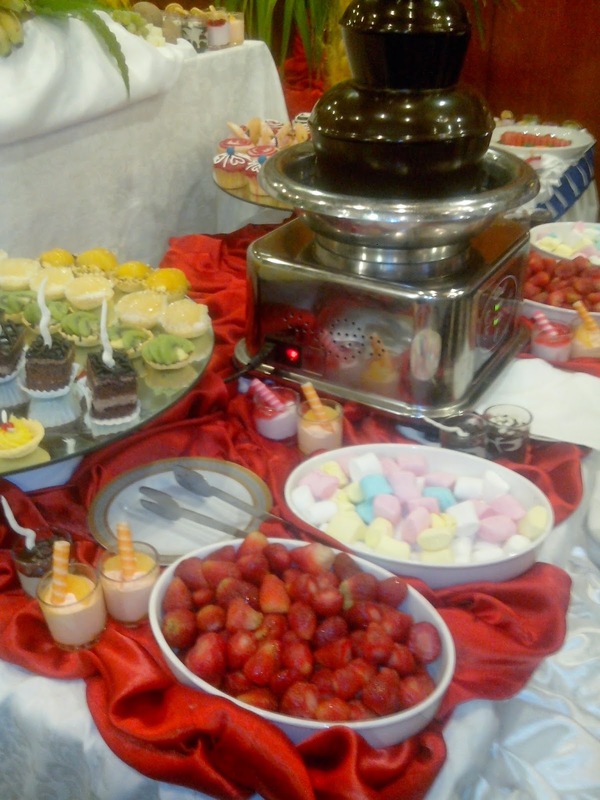 For those with a sweet tooth, the mouthwatering colorful array of mousses, fruit tarts, Pakistani sweets and the eye-catching 3-ft croquembouche hit the home run. The attention to detail was immaculate as the ambiance was complete with skillful fruit carvings and display of fresh cut exotic fruits. The event and publicity was designed and perfectly managed by Statuspro 360 MasterChef Pakistan is have formally here, let’s see who will be the first MasterChef Pakistan and bag a prestigious cookbook contract and Rupees Five million prize money! 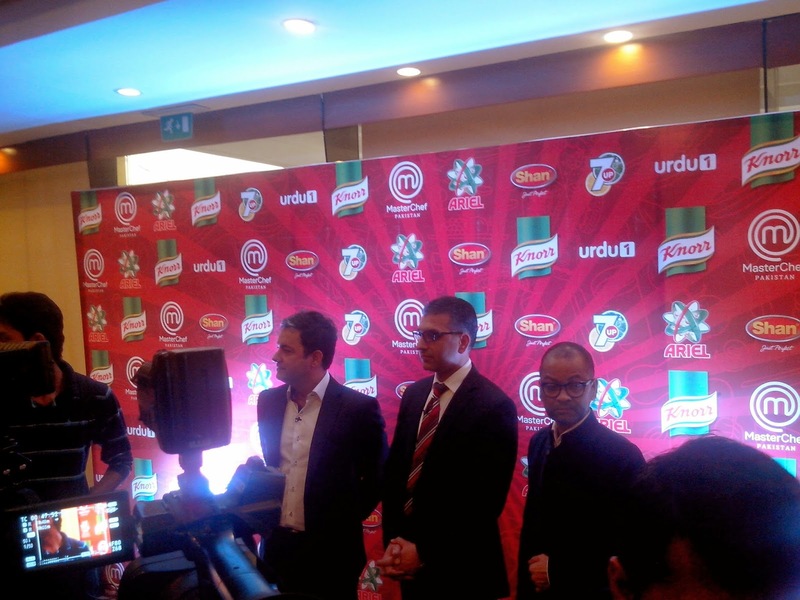 MasterChef Pakistan will commence airing from Saturday, May 3rd 2014 only on Urdu 1.